Who would you call if you saw a drug deal going down? Well, in the 80s and 90s in New York it seems that the last people to call would be the police. 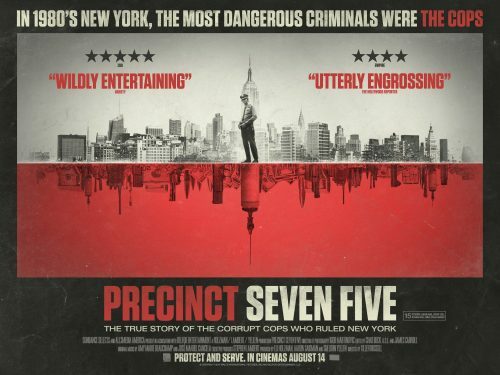 This documentary shows what happened and how the 75th Precinct was cleaned up from the corruption. Packed with interviews with both those who broke the law and those who protected it, PRECINCT SEVEN FIVE gives audiences the ultimate insider’s access, for the first time putting them inside the car – and the minds – of crooked cops.